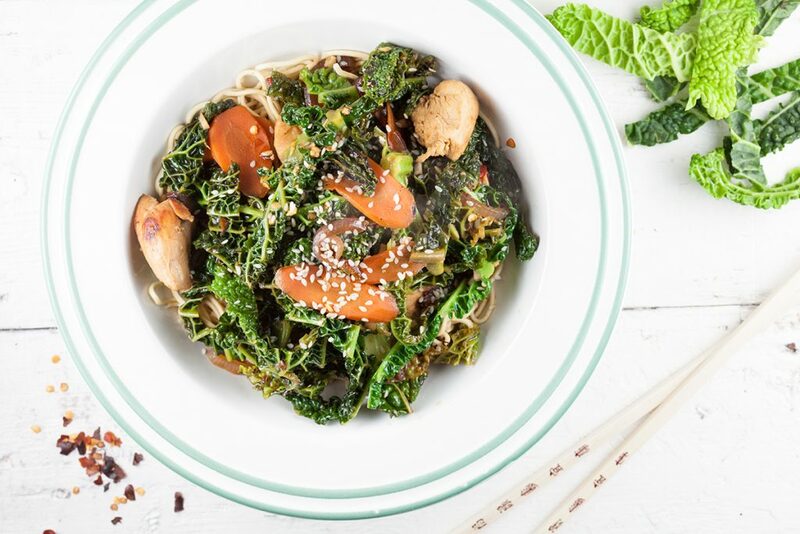 An easy weekday meal is mostly very welcome. 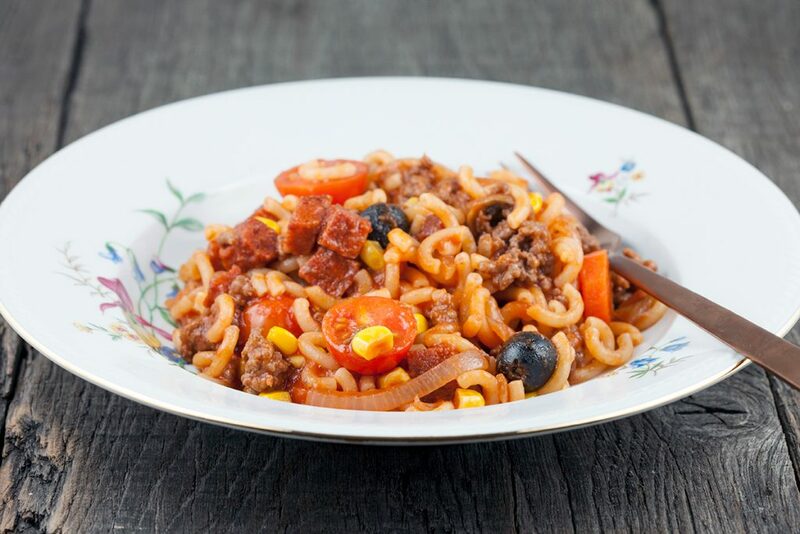 Try a chorizo and tomato macaroni, or other pasta, ready within 20 minutes. 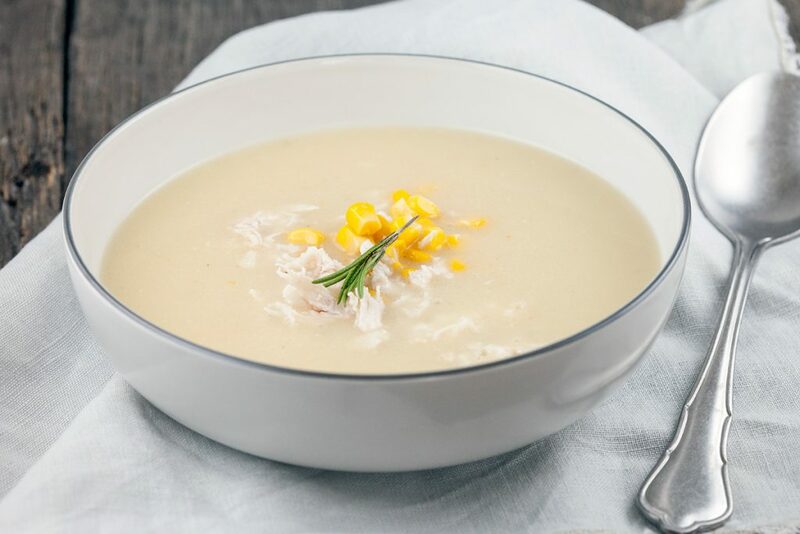 This roasted garlic soup with chicken and corn is an easy soup that’s filled with lots of flavors. Made with only a few ingredients. 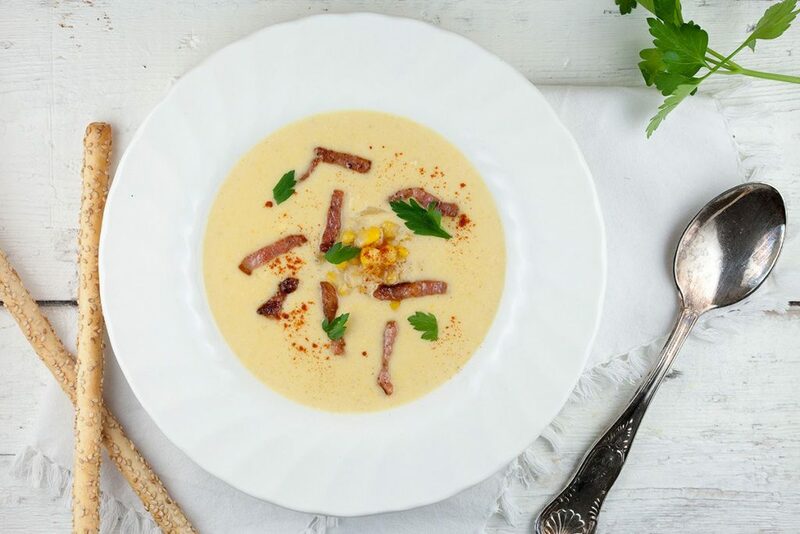 A creamy corn soup is a filling soup with smoked paprika and crunchy bacon. 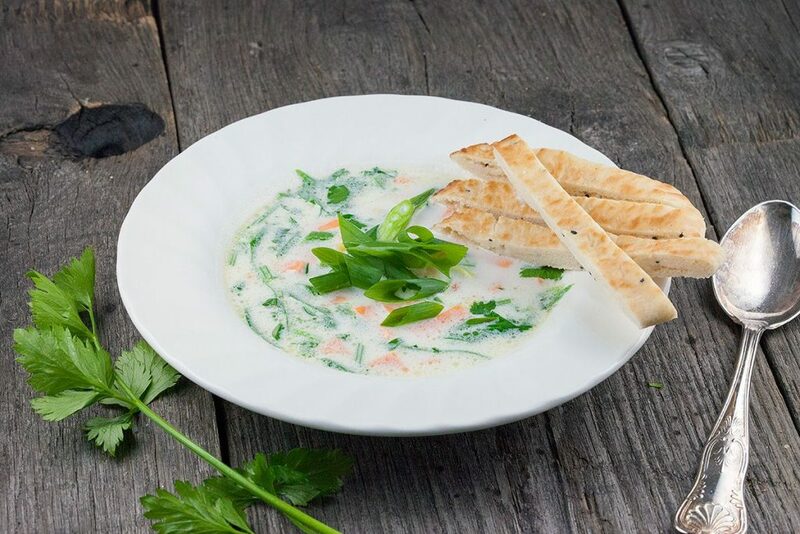 Great for lunch or as a complete meal with some bread. 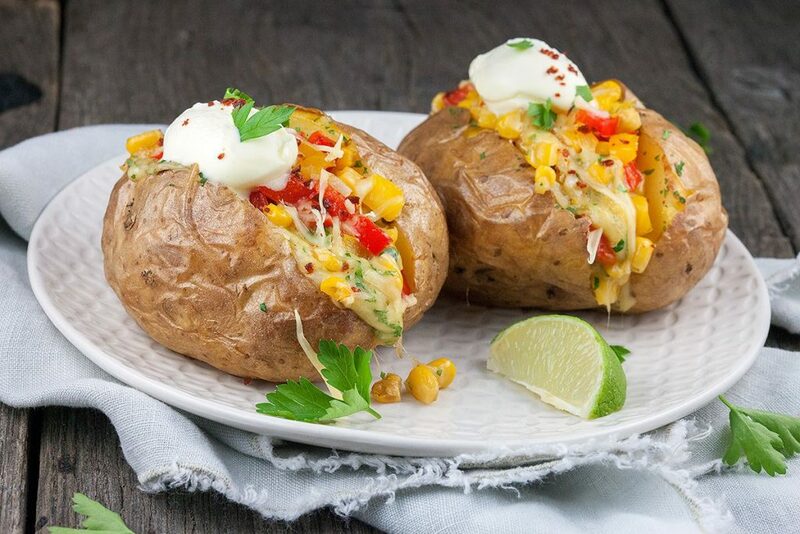 Mexican jacket potatoes are made in the oven, but can easily be prepared on the barbecue. 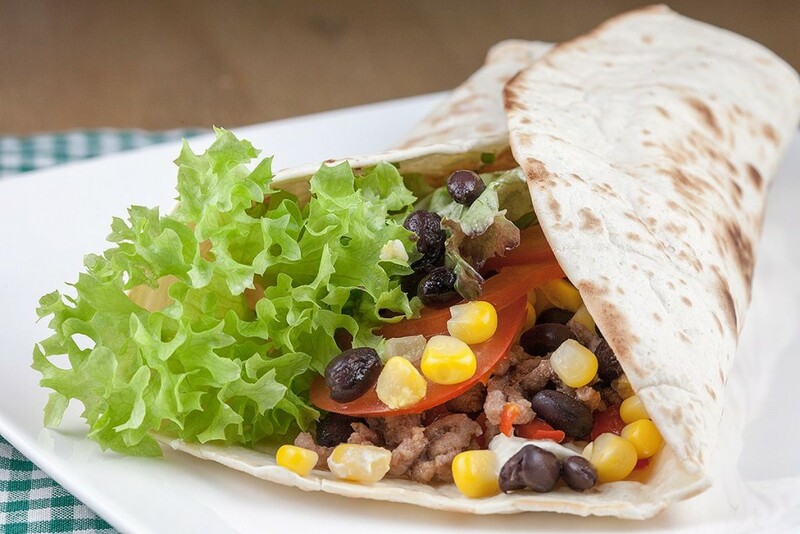 Filled with peppers, cheese and more. Mmm! 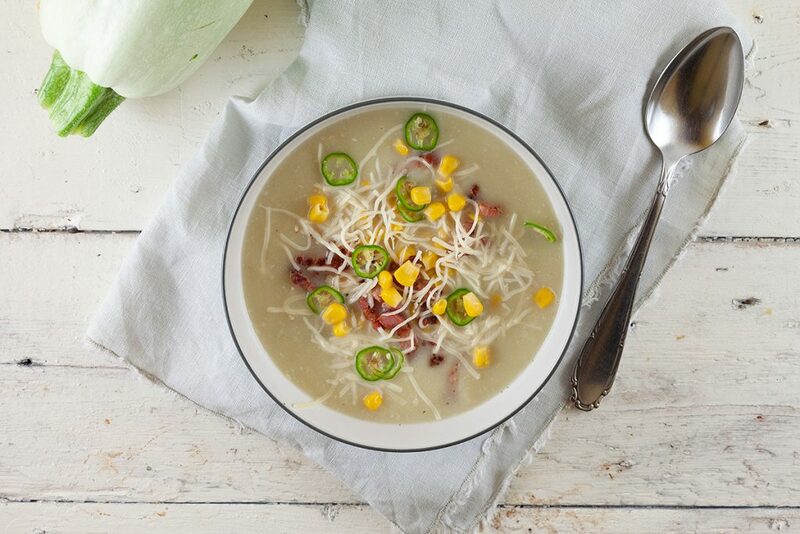 So many lovely smells from this vegetarian creamy sweetcorn soup. 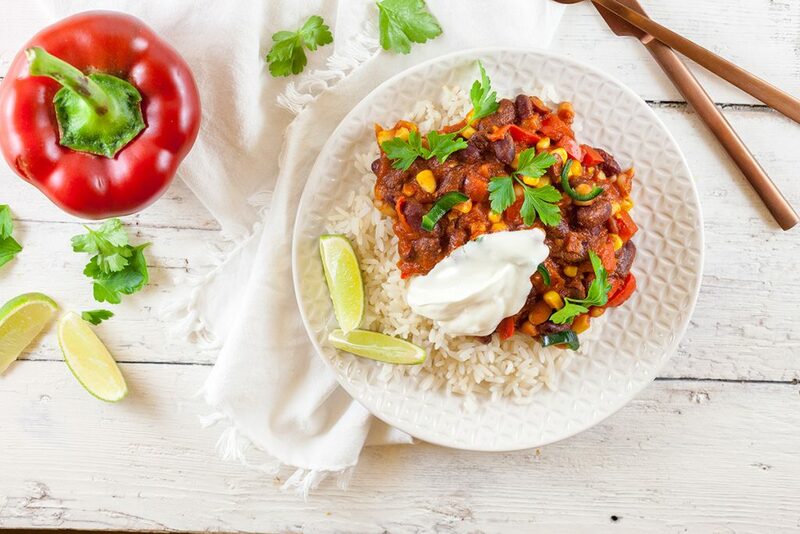 Very easy to make, recipe for 4 people and ready in just 25 minutes! Delicious corn on the cob served with garlic butter. YUM! 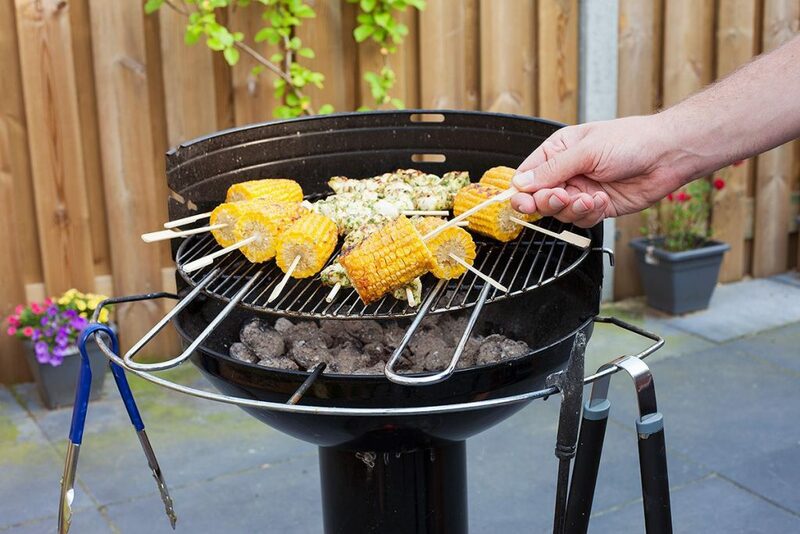 Perfect side dish for any barbecue. Ready in 20 minutes, recipe for 4 people. Easy and filling meal after a busy workday. 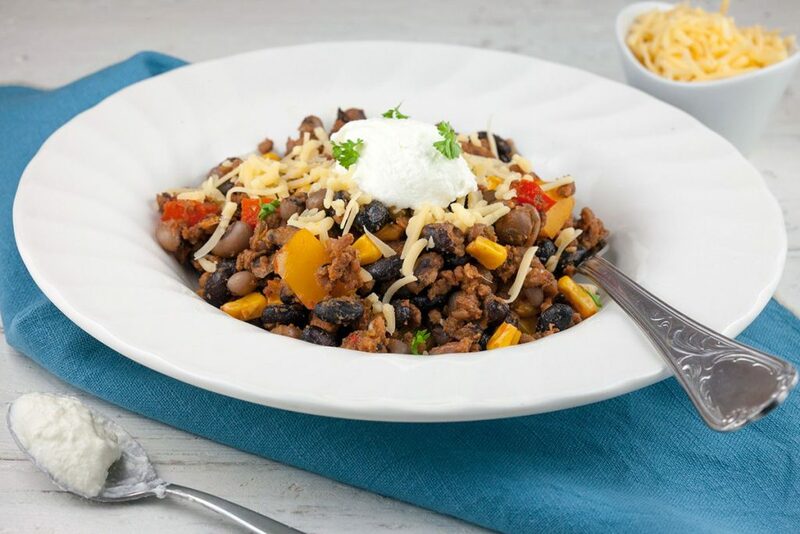 One-pot Mexican beans and mince can be made in less time using canned beans instead of dried beans. Lovely side dish or great as part of a variety of tapas dishes. 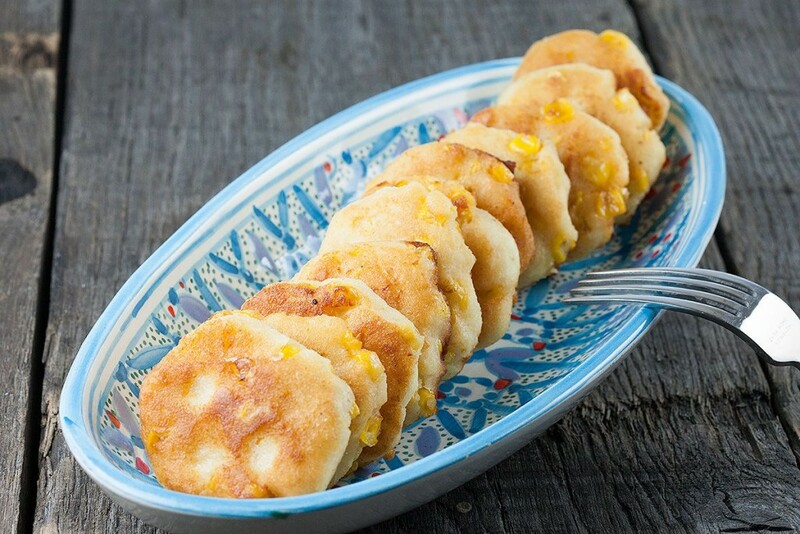 Quick and easy sweet corn cookies are tasteful and cute looking.